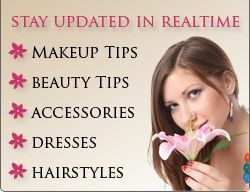 Here is a brief description on how to do valentine day makeup and some other tips related to it. Let’s start with foundation as is provides a base for your makeup. Before applying foundation you should apply moisturizer to make your foundation look smooth and flawless. After preparing the facial skin, you should softly contour your cheeks with a very pale, sheer pink blush just on your cheekbones, keeping it light. Then make your eyes smoky and romantic with the right eye makeup. For a new look curl your eyelashes and apply eye primer on your eyelids. Now use vanilla or sand tone liquid eye shadow on your entire eye lid. For more attractive eyes apply sparkle on to your eye lids. If you have dark skin then you should apply a taupe or smooth brown eye shadow. After that draw eyeliner on the top lashes and then apply either black or brown mascara, but make sure that you don’t use too much of it. Now you should apply lip gloss and then apply a pretty lipstick on your lips. For a perfect hairstyle, you can try curls as they are flattering and elegant and they never go out of fashion. Besides this you would need to choose the right outfit to wear for the valentine day. A simple wrap or shift dress with red colored shoes or handbag would be a great choice. Tops with detailed edging are good too. It is also advisable to get a pedicure and manicure done a day before. You should also apply stylish and matching nail polish on your nails. Your hairstyles should be soft and gentle, with flattering curls or elegantly flicked out. You can also use some good hair accessories. At last wear a matching pair of footwear and pick a purse. Now you are ready to surprise your partner with a fabulous look.